On Tuesday 23rd April 2019 the sun will rise at 05:52 and will set at 20:29. It will be a mild day, with temperatures reaching around 19.1°C. Today is expected to be a dry day, with a very low chance of rain. It will be quite a breezy day, with a maximum expected wind speed of 18mph. On Wednesday 24th April 2019 the sun will rise at 05:50 and will set at 20:31. It will be a mild day, with temperatures reaching around 15.2°C. A light shower is possible, 2mm of rainfall is possible today. It could be quite a gusty day today, with a maximum expected wind speed of 24mph. On Thursday 25th April 2019 the sun will rise at 05:48 and will set at 20:33. It will be a mild day, with temperatures reaching around 12.7°C. A few showers are expected, 3mm of rainfall is possible today. It will be quite a breezy day, with a maximum expected wind speed of 16mph. On Friday 26th April 2019 the sun will rise at 05:45 and will set at 20:35. It will be a mild day, with temperatures reaching around 11.8°C. Some moderate to heavy rain is expected, 5mm of rainfall is possible today. It will be quite a breezy day, with a maximum expected wind speed of 22mph. On Saturday 27th April 2019 the sun will rise at 05:43 and will set at 20:37. It will be a mild day, with temperatures reaching around 10.4°C. Today is expected to be a dry day, with a very low chance of rain. It will be quite a breezy day, with a maximum expected wind speed of 21mph. On Sunday 28th April 2019 the sun will rise at 05:41 and will set at 20:39. It will be a mild day, with temperatures reaching around 12°C. Today is expected to be a dry day, with a very low chance of rain. It will be quite a breezy day, with a maximum expected wind speed of 17mph. On Monday 29th April 2019 the sun will rise at 05:39 and will set at 20:41. It will be a mild day, with temperatures reaching around 7.2°C. Today is expected to be a dry day, with a very low chance of rain. It will be a very clam day today, with a maximum expected wind speed of 11mph. Come and try our 3 exciting children's experience's at our wonderful RockShop attraction in Ambleside, including our very own Dinosaur Den, a themed treasure hunt for Dinosaur enthusiasts, or maybe jump in to our unique Gem Pit and collect some gemstones or even get creative in our Pippin Bead Bar, and make your own bracelet to take home. All our experiences are designed around the world of Dinosaurs, gemstones and fossils and are suitable for all ages and abilities from 4yrs upwards to join in with the fun. We are the ideal children's wet weather attraction or just somewhere to amuse the kids for an hour in the heart of the English Lake District. 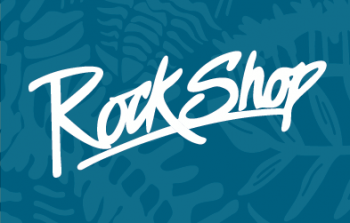 Rockshop, Ambleside, is a great place for the whole family, not just a shop... but an experience!